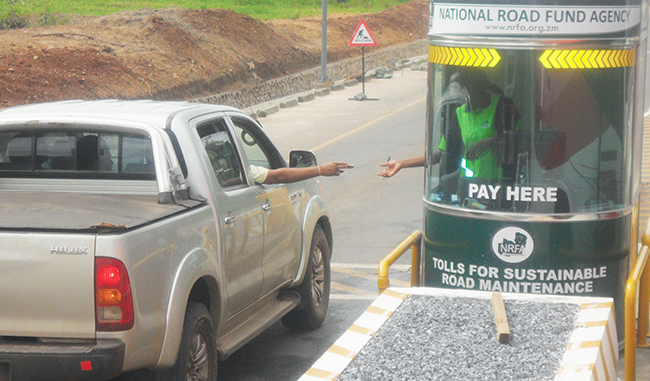 A MOTORIST pays toll fees at Kafulafuta on Ndola-Kapiri Road. Government recently introduced Road Toll Gates on Great North Road. PICTURE: MATHEWS KABAMBA. THE National Road Fund Agency (NRFA) has collected K1.5 million from the two initial road tolling sites at Manyumbi and Kafulafuta since January 15. The tolling facilities cover all motor vehicle classifications under the National Road Tolling Programme phase two (NRTP II). NRFA spokesperson Alphonsius Hamachila said the agency, which has pledged transparency and accountability in the collection and disbursement of road tolling revenue, has been recording an average daily revenue of K100,000 at both toll sites. The sites are located between Kabwe and Kapiri Mposhi, while the Kafulafuta toll site, is located between Kapiri Mposhi and Ndola. He said the NRFA has adopted simple and inexpensive booth and boom technology as a temporary road tolling mechanism. 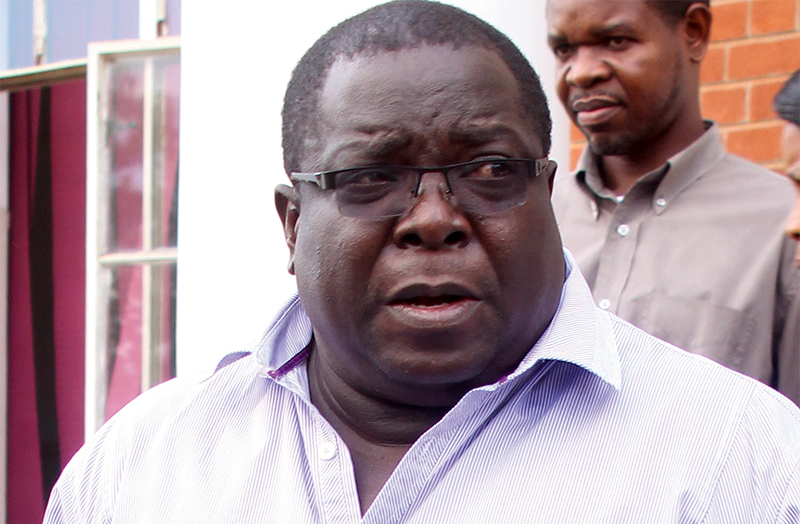 Mr Hamachila said in a statement yesterday that this is aimed at increasing revenue from road tolling at a minimum cost before construction of permanent toll plazas is completed. â€œManyumbi and Kafulafuta toll sites signify the delivery of NRTP phase II objectives of collecting tolls from all vehicle classifications as per provisions of the Tolls Act, number 14 of 2013, and the two temporary tolling sites have been running from January 15, 2016 to date, with minimum disruptions,â€ he said. Mr Hamachila said the disruptions which have been observed, particularly at Manyumbi, can be attributed to start-up challenges and that NRFA is working to rectify and improve operational efficiencies. He explained that NRFA is implementing road tolling based on a â€˜user pay principleâ€™, where all vehicle classifications are required to pay a fee, for use of a tolled road. Mr Namachila added that the revenue generated from toll gates would be channelled to road maintenance. 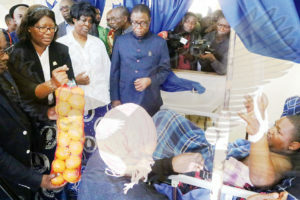 â€œNRFA, in liaison with implementing agencies and other stakeholders, will use the toll revenue to widen identified sections of the Kabwe-Kapiri Mposhi, and Kapiri Mposhi-Ndola roads which are prone to accidents.